Serving as the landscape architect sub-consultant to the architect, Behnke refined the previously-developed concept plan for the 6 acre plot into the plan below. 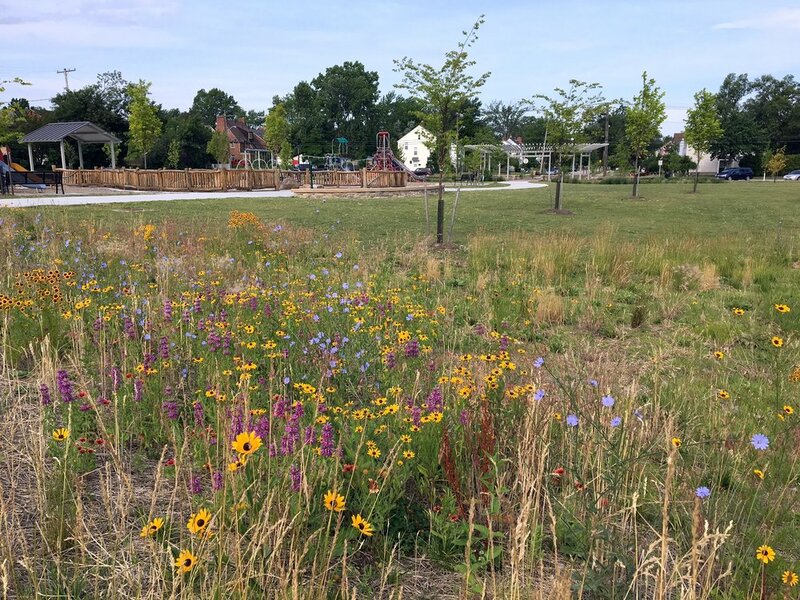 The design for all residents of the multiple-generation, middle-class University Heights, includes: progressive playground equipment and nature play for 2-12 year-olds, open play fields for general use, a loop path for walkers and runners, and exercise stations for adults and older adults. 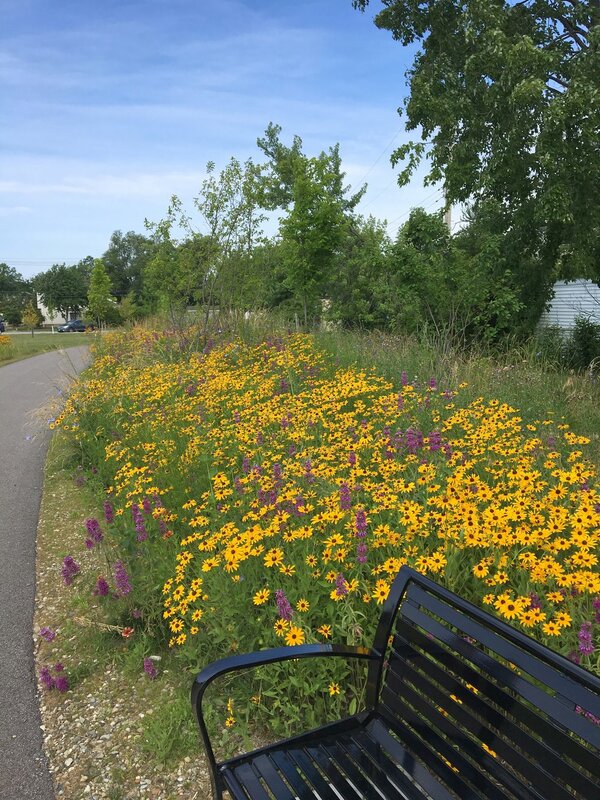 Native meadow plantings with quiet seating areas will create bird and butterfly watching opportunities, a gazebo and small pavilion will provide shelter for picnics and special events, and bioretention cells with interpretive signage will clean rain water and educate the public. Safety for all users is a top priority, and will be accommodated with reverse angle on-street parking and a tabled intersection adjacent to the park, to calm vehicular traffic and prioritize pedestrians.